Stephen Hillenburg, the creator of the megahit Nickelodeoncartoon series “SpongeBob SquarePants,” died on Monday. He was 57. The cause of death was ALS, which Hillenburg revealed he had been diagnosed with in March of last year. Hillenburg graduated from Humboldt State University in 1984 with a bachelor’s degree in Natural Resource Planning and Interpretation, with an emphasis on marine resources. He then became a marine biology teacher at the Orange County Marine Institute (now the Ocean Institute) in Dana Point, California. This interest, combined with his artistic talent and love of the sea and its creatures, led him to write and illustrate stories as teaching tools with characters that would later become the denizens of SpongeBob’s home, Bikini Bottom. He began his animation career in 1987, pursuing a degree in Experimental Animation at the California Institute of Arts in Valencia and earning his Master of Fine Arts in 1992. From there, he began to work full-time on writing producing, and directing on the animated series that would eventually become “SpongeBob SquarePants.” The first episode aired on Nickelodeon on May 1, 1999 and the series commenced its full run on July 17 of that year. The series has aired nearly 250 episodes to date. It appealed not only to children but older viewers as well, with college students even organizing viewing parties for the show. The series has won both U.S. and British Emmy Awards, Annie Awards, and ASACP Awards and has been dubbed or subtitled in more than 60 languages, including Urdu, Azerbaijani and Maori. Hillenburg also wrote, produced, and directed “The SpongeBob SquarePants Movie,” which was released in 2004 and went on to gross over $140 million worldwide. 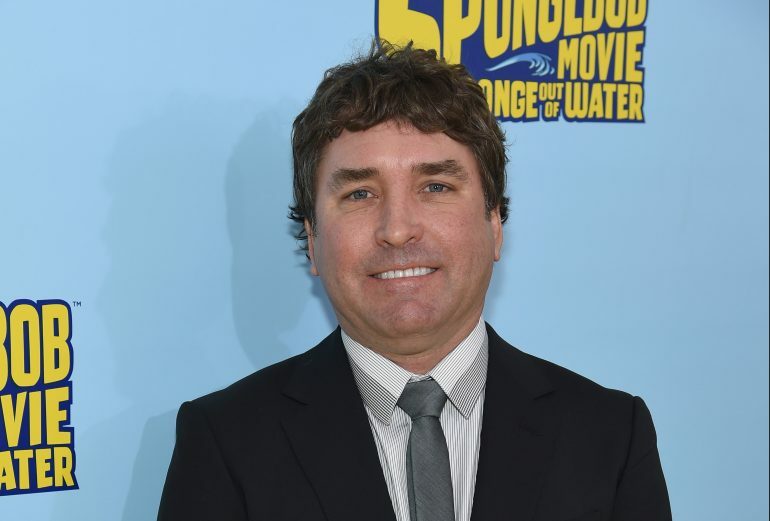 Hillenburg then wrote the story for and was the executive producer of the sequel, “The SpongeBob Movie: Sponge Out of Water,” in 2015. Hillenburg — or Steve as he was known to family, friends, and fans — was born August 21, 1961, at Fort Sill in Lawton, Oklahoma. After leaving the military, his father, Kelly N. Hillenburg, Jr., became a draftsman and designer for aerospace companies. His mother Nancy taught visually impaired students.